Brief reminder post: voter registration is NOW open and will remain open until Monday, May 13th, 2019 at 5 pm. 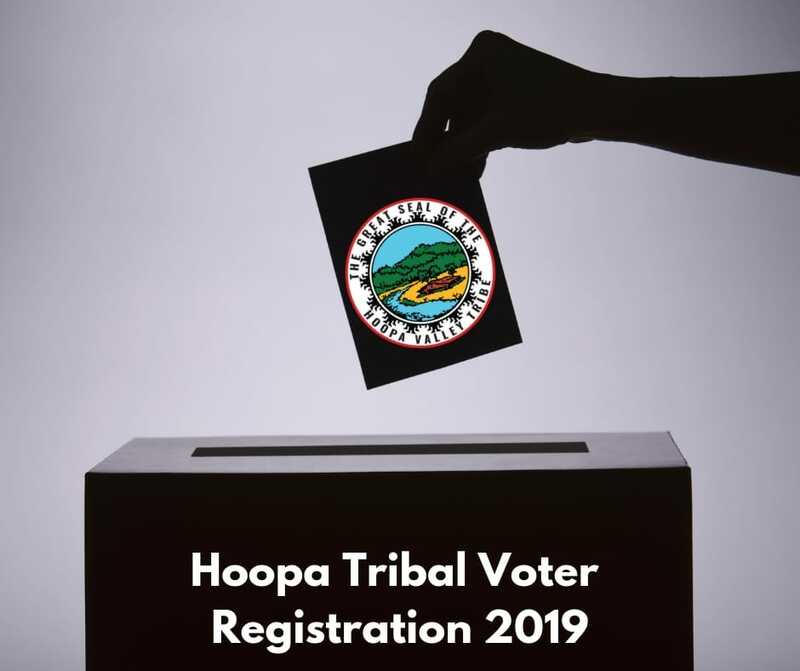 Thus, if any Hoopa Tribal Member needs to register to vote in the current Hoopa Tribal 2019 Election, please call the Hoopa Tribal Elections Office at 530-625-4211 Extension 132 before the above deadline. Additionally, due to the Hoopa Valley Tribe recently receiving many sample ballots back with “undeliverable addresses,” we highly encourage all Hoopa Tribal Members to ensure that their addresses are up-to-date. This can be done by giving our Hoopa Tribal Administration Offices a call at 530-625-4211. Thank you!